(WALB) - As Irma begins to head to land, Southwest Georgia is one of the first places evacuees from Florida and coastal Georgia will head. And in the south, we offer southern hospitality. Below is a list that includes links to resources for evacuees as they find shelter in the area. WALB will continue to update the information as we learn of more resources. In Albany: Chehaw Park and The Exchange Club of Albany are able to host about 275 RVs between the two destinations. As of Thursday morning, the hookups were full. If people simply need a 110 electric hookup, a place to park, to dump, or fill up their water tank they can take as many as will fit. Crisp County Motorsports Park is opening their camp grounds. In Crisp County: The American Red Cross opened a shelter on Friday for evacuees. The school is located at 1001 Blackshear Road in Cordele. In Randolph County: The Red Cross has opened a shelter at First Baptist Church, the address is 567 College St. in Cuthbert. In Tifton: Red Cross Shelter - The Abraham Baldwin Agricultural College's Gym at 2802 Moore Highway in Tifton. Comfort Station: Tift Co Recreation Department Gym at 401 North Victory Drive in Tifton. The American Red Cross may open more shelters in Southwest Georgia, you can find when and where shelters are open on the American Red Cross website. 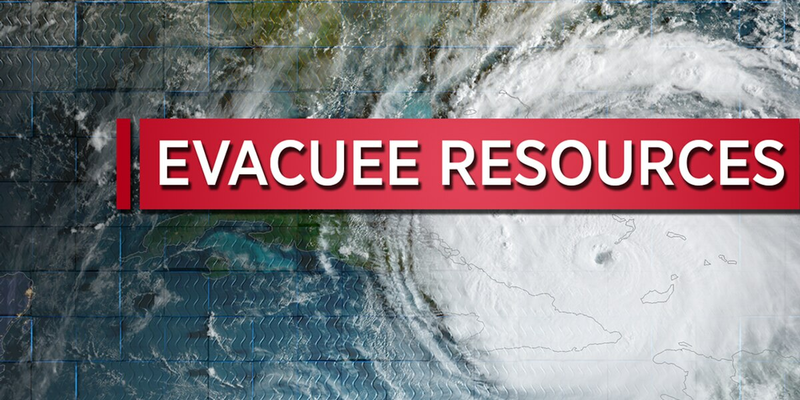 The Georgia National Fairgrounds and Agricenter in Perry will serve as an Equine evacuation site. On-site dry camping will be available for those housing equine at the facility during their stay. Space is first-come, first-served. The Moultrie RV park has opened and has room for 400 RVs. Pelham is making arrangements for 40-50 RVs for parking. Will not have hookups. You can call City Hall at 229-294-7900, the police department at 229-264-6001, or the fire department at 229-294-6012. The City of Sylvester announced a business is opening a parking lot for RVs at 116 East Kelly Street. You can find out where the cheapest gas prices are on the WALB Community page. Bush's Animal Clinic, 2419 Dawson Rd, Albany. Call (229) 439-7073. Magnolia Pet Resort and Spa, 628 Fussell Rd, Leesburg, GA. Call (229) 888-1340. WALB will continue to update the progress of Irma as she tracks through Florida and Georgia. The Georgia Tourism website added a section for Hurricane Irma with information where people could find lodging and to see traffic conditions. Staying updated with what is going on here: WALB has free news and weather apps for iPhone, iPad and Android devices. You can use these to stay informed with what's going on while you're here, get updates on our local forecast and watch our newscast live.